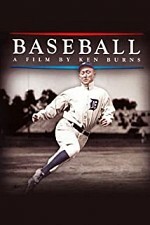 Watch Baseball: Ken Burns relates the history of baseball in a fashion similar to that of his Civil War mini series. Old-time photos and illustrations depict the games early years, while newsreels and video clips highlight more recent developments. Players and participants speak in their own words, and sports writers and broadcasters offer commentary on the sport and events they witnessed.